Updated, Wednesday 6:06 p.m.: Doctors have decided to keep Bobbi Kristina Brown in her medically induced coma because she suffered seizures after they began to wean her off the drugs that were keeping her in the coma, CNN reports. 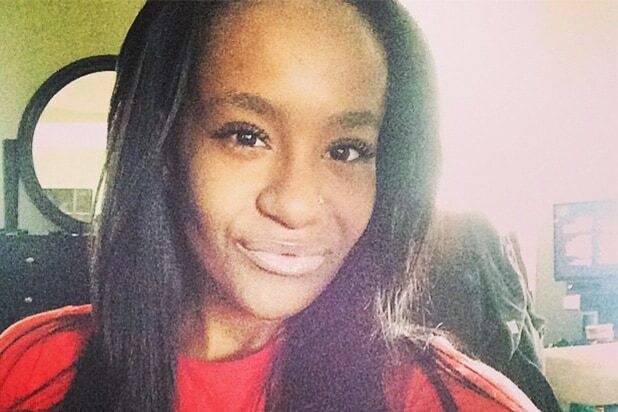 Doctors for Bobbi Kristina Brown, the troubled daughter of Bobby Brown and deceased singer Whitney Houston, have decided to bring the 21-year-old out of her medically induced coma, People reported Wednesday. Brown was rushed to the hospital after being found face-down and unresponsive in her bathtub on Jan. 31. She will remain on life support, including a ventilator and a feeding tube, for the time being, People added. A family source told the magazine that the family is “hoping and praying [bringing Brown out of the coma] will give us some answers.” However, the source added, Brown’s condition remains severe. Earlier this month, Rachael Ross of the syndicated television show “The Doctors,” told TheWrap that doctors would have placed Brown in a coma to let her brain heal. “If the brain is doing no work — it doesn’t have to metabolize anything, it doesn’t have to think — then what we can do is, we can prevent [her brain] from swelling any further, and we can potentially buy her some time and let it heal up,” Ross offered. Taking Brown out of the coma would allow doctors to determine if Brown’s condition has improved at all, and whether she is able to perform any functions on her own. While Brown’s doctors and family seek answers, drama has swirled around her situation. Her boyfriend, Nick Gordon, has gone after Bobby Brown on Twitter, saying he’s been blocked from visiting Bobbi Kristina in the hospital. Gordon has also reportedly filed a restraining order against the Roswell, Georgia, police department, in an attempt to block a search warrant for footage captured by a security camera.